Who doesn’t enjoy the feeling of putting on a new pair of socks? Ones that hug you and feel soft beneath your feet rather than those mis-shapen, threadbare and holy things that you seem to have been running in recently! 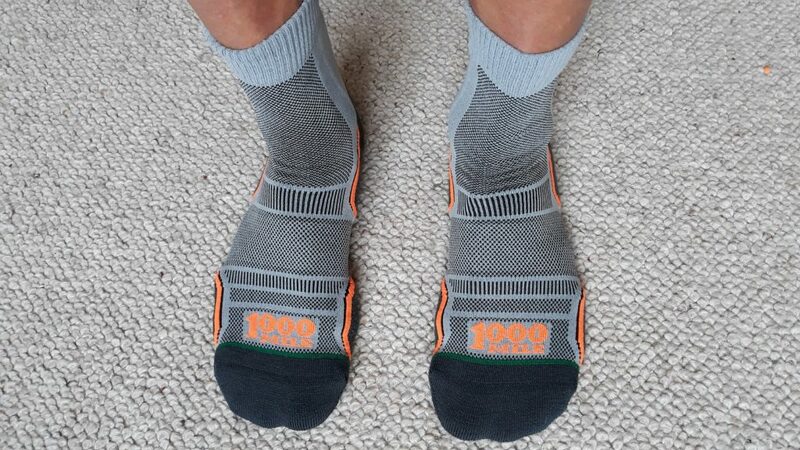 1000 Mile Trail Socks are my new socks; a blend of acrylic and Merino wool that are anatomically shaped offering different amounts of padding to different parts of the foot. The forefoot, heel and toes have more padding for comfort and this extends up the achilles to reduce friction and offer more protection. 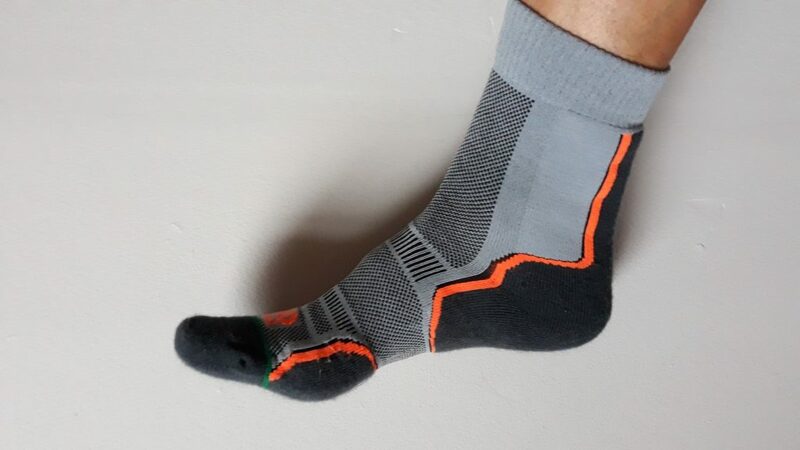 The top of the foot and under the arch has a thinner construction allowing more ventilation and the elasticated top hugs the calf, without being too tight, and prevents the socks from riding down. 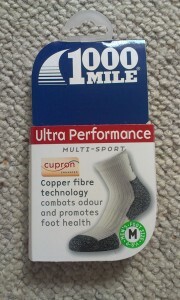 I found the socks comfortable and soft and I liked the fact that I couldn’t feel the toe seam meaning there would be no friction issues on long runs. 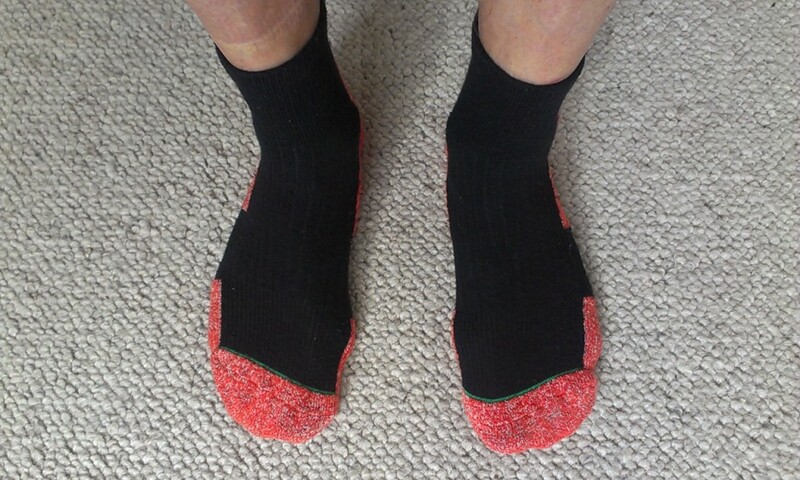 They are quick drying and the Merino wool helps keep your feet warm when wet whilst its antibacterial properties means that they are likely keep your feet fresher that purely synthetic socks, especially when damp or sweaty. 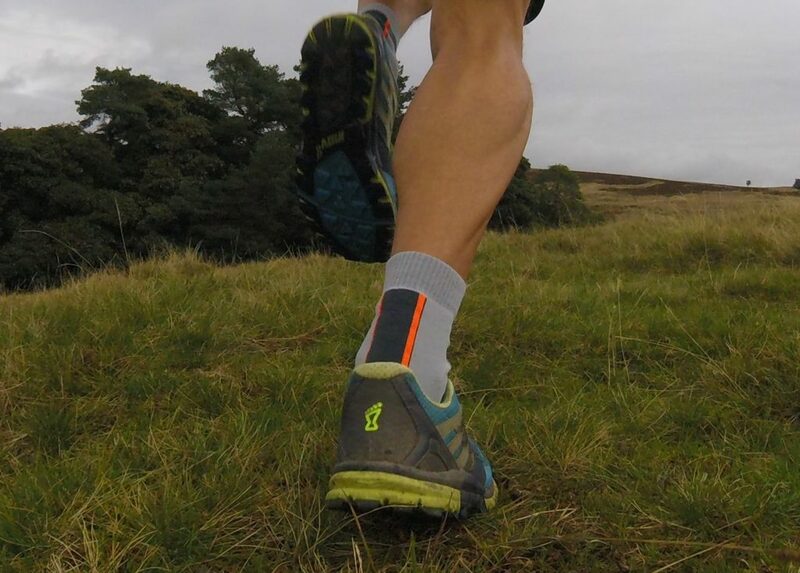 Comfortable and affordable the 1000 Mile trail socks are ideal for cooler months when you might want a slightly thicker sock and for runs where you don’t mind having wet feet.